Hi There! Hope you're week is off to a fantastic start! 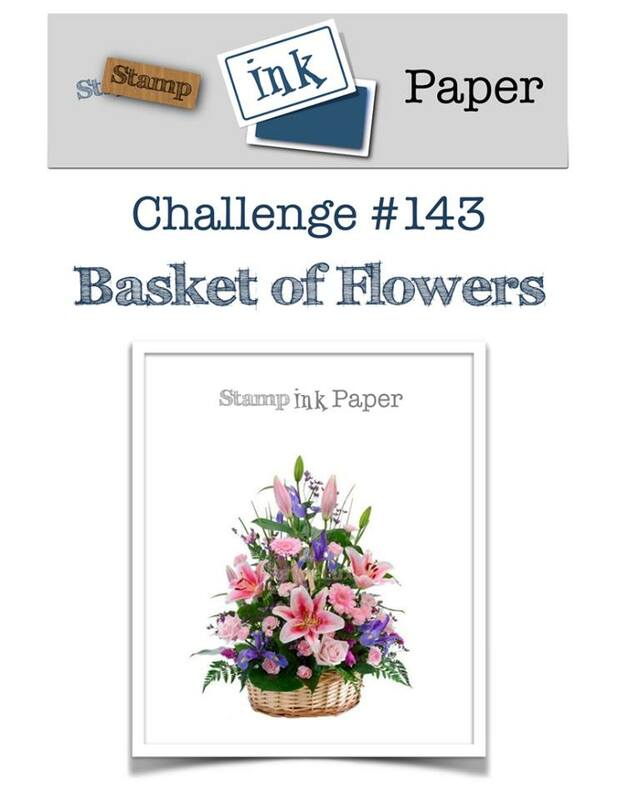 This week at Stamp, Ink, Paper we have a fun new theme Challenge called "Basket of Flowers"
I just got this adorable Concord & 9th Posie Fill In Bundle and I really thought the background looked a lot like a basket.... That's my story and I'm sticking to it! lol I stamped the Background on SU Crumb Cake Cardstock tone-on-tone with Crumb Cake Ink. The edges were sponged with Crumb Cake Ink as well. Since I stamped it on Crumb Cake all of the Flowers and Leaves were stamped and/or die cut separately and glued on. Actually some of the flowers were popped up on Dimensionals. 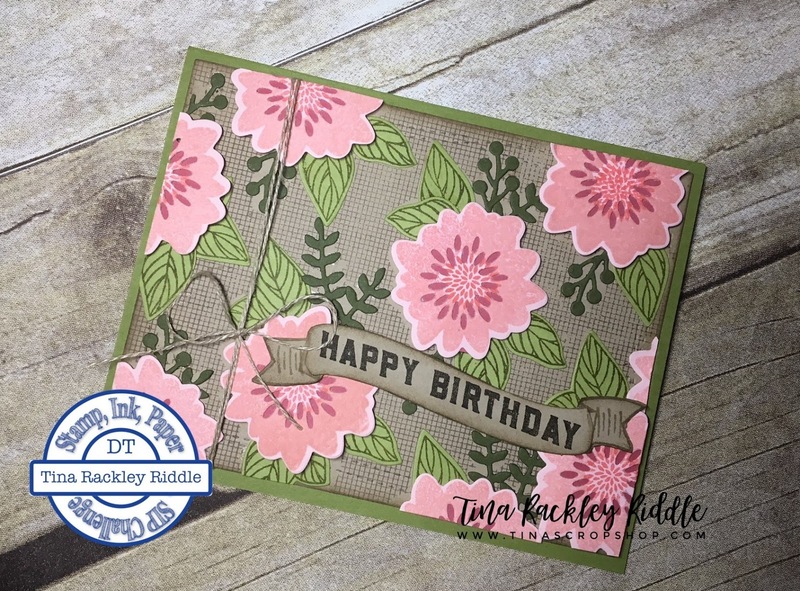 I used Old Olive for the stamped Leaves and the card base. The foliage diecuts were cut out of a scrap of Mossy Meadow (retired SU) cardstock. The flowers were stamped with Blushing Bride onto Pink Pirouette Cardstock. 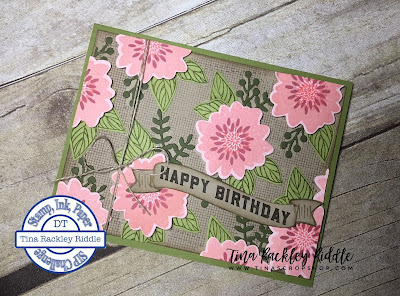 The center was stamped with Flirty Flamingo and I used a scrap of Rose Red behind the die cut center. 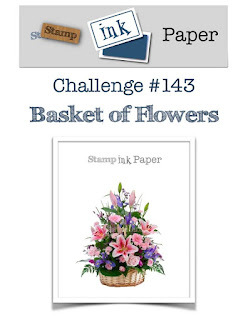 The banner was from the Banners & Blooms Bundle. I'm determined to have a LOT of birthday cards this year. I never seem to have enough.